Home » Posts » Our January Promotion: $500 off Invisalign! 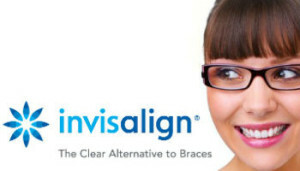 Our January Promotion: $500 off Invisalign! As we get ready to say goodbye to January, our staff at Kim C. Norman wants to remind you that our January promotion is still valid for a few more days! This means that you still have time to save money as you straighten your teeth! All January long, we’ve been offering our Facebook fans $500 off Invisalign and we want you to take advantage of this great deal too! Our Invisalign treatment is one of the most advanced teeth straightening procedures. Our patients no longer have to suffer through a year (or longer) with an embarrassing “brace face”. Instead, Invisalign allows you to discreetly straighten your teeth with clear, plastic aligners. So, not only can we help you achieve a straighter smile, we can also save you $500 with our January promotion! Simply visit our Facebook page and “like” us to be qualified for this offer. Then, click here to redeem your coupon for $500 savings on Invisalign. Don’t wait, though, the offer ends at the end of the month so act now!